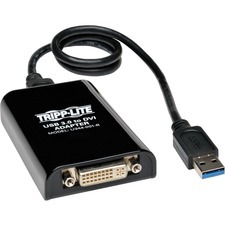 Tripp Lite's U344-001-HDMI-R, USB 3.0 to HDMI Display Adapter allows you to connect an additional monitor or projector to the USB 3.0 port on your computer/laptop. 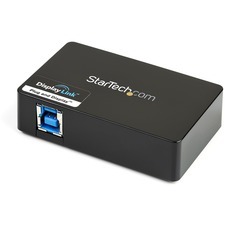 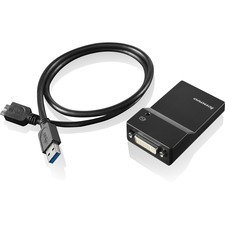 Up to six U344-001-HDMI-R adapters can be used simultaneously, allowing the user to connect up to six additional monitors to a single computer. 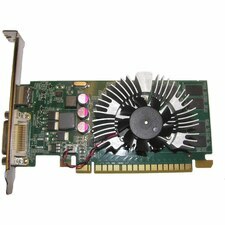 Once the installation is done, the computer screen appears on the add-on monitor(s) without the hassle of function keys to swap to a second monitor. 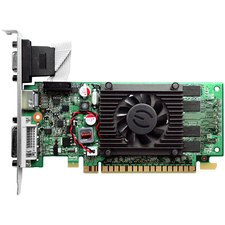 The U344-001-HDMI-R chip-set supports video resolutions up to 2048 x 1152 (60Hz), 1080p (60Hz). 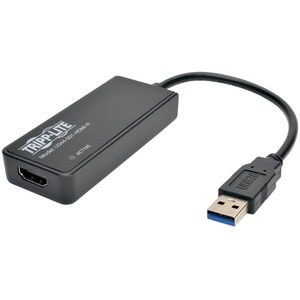 The U344-001-HDMI-R is compatible with Windows XP 32-bit, Vista 32/64, and WIN7 32/64.